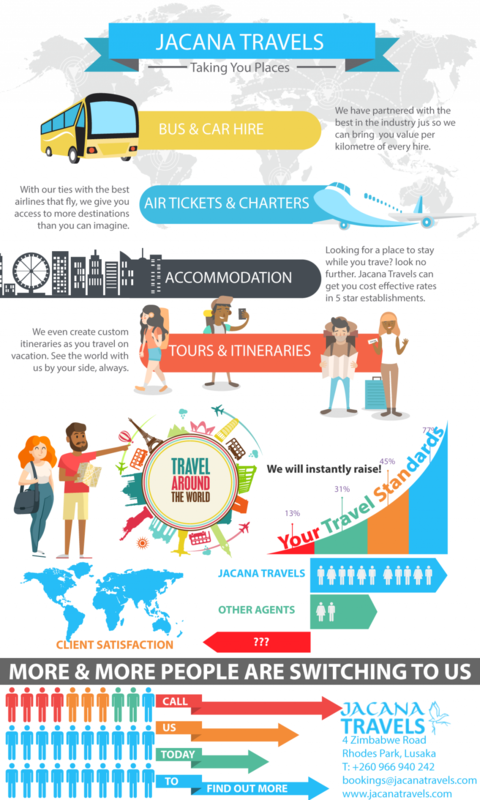 Jacana Travels is a private Zambian owned company, based in Lusaka, Zambia & was registered on the 14th July, 2017. 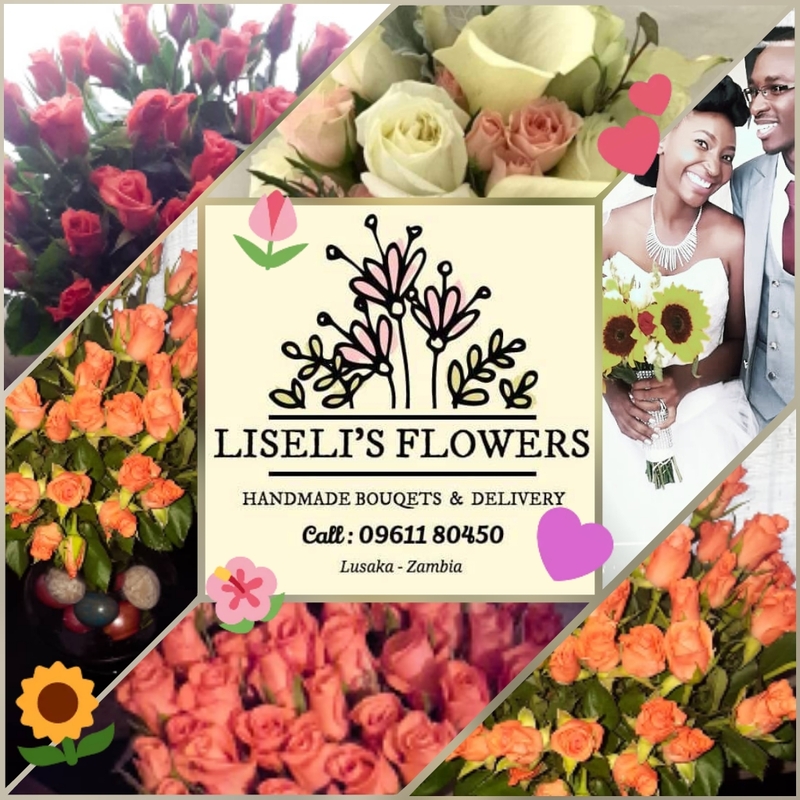 We are a Travel Agent, Tour Operator & General Sales Agent for various accommodation providers in Zambia and the rest of the world – hotels, lodges, camps, guest houses etc. and adventure companies. The company is also recognized by Zambia Tourist Board & registered with Galileo/Travelport Zambia – the industry’s service providers in flight reservations & ticketing. The founders/Directors of this organization are indigenous Zambians with many years of experience in both Travel & the Hospitality Industry and have held senior management positions in their respective fields of study. To be the best in the market locally, regionally and eventually, worldwide in terms of Travel Tours and Car Rentals. Travel insurance, excursions, immigration services & other travel related services. 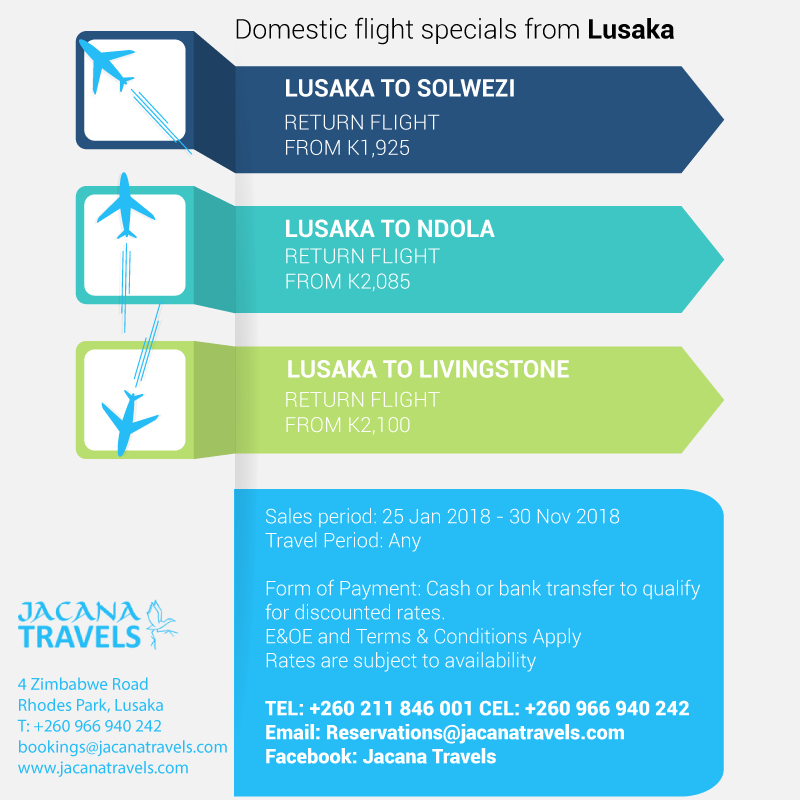 Whether you are travelling to Zambia for leisure, business, culture or a combination of these, Jacana Travels & Tours will take care of all your travel requirements.